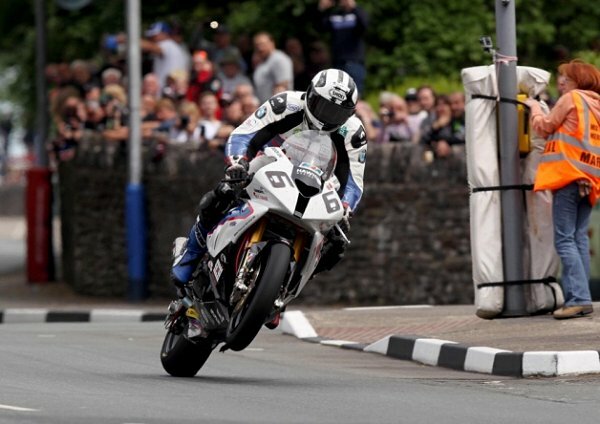 The Isle of Man TT is one of the world's oldest motorsport events. It started in 1905 as the British trial round for the fledgling European car racing championship, the precursor to modern day Formula 1, with motorbikes introduced in 1907. The races take place on a 37¾ mile circuit of closed public roads and feature seven bike classes: Superbike, Supersport, Superstock, Senior, Lightweight, Electric and Sidecar. Building on this global and diverse growth, an independent Promoter will now have the unique opportunity to develop and implement new TT road race events around the world as part of a 'TT Series'. Ultimately, the Promoter will develop a global series that will see the stars of the TT competing in locations across the globe, culminating in the series champion being crowned at the Isle of Man TT itself. "The Isle of Man TT Races is one of the world's truly great sports properties combining iconic heritage with state of the art machinery and strong brand values. We believe that it has huge untapped global commercial potential and on behalf of the Isle of Man Government are looking to identify a Promoter who shares the Government's vision, will develop the event to the next level and deliver enhanced commercial value to the Island." The Isle of Man Government is inviting expressions of interest from relevant parties to be submitted before 28th February 2015. Suitable candidates will be issued with further information about this opportunity and will be required to complete a 'Pre-qualification Questionnaire' (PQQ). Successful candidates at this stage will receive an Invitation to Tender (ITT) requiring full and detailed proposals to be submitted in August 2015. If an independent Promoter is contracted, they would be appointed by December 2015. It is proposed that the independent Promoter would work in partnership with the existing Isle of Man TT team to support delivery of the 2016 Isle of Man TT meeting. On completion of the 2016 Classic TT, the Isle of Man Government will transition the outlined commercial and promotional responsibilities and certain event delivery obligations for the 2017 TT Races to the Promoter. It is also expected that, during 2017, the Promoter will stage 'test' events in other countries, with a full global series rollout in 2018. Interested parties can request an Expression of Interest pack by e-mailing iomtt@thesportsconsultancy.com.